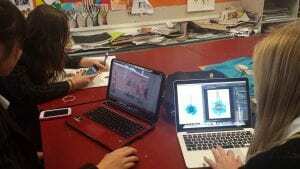 Pukekohe High School has been on a journey towards comprehensive e-learning for several years, preparing the way so that teachers can meaningfully integrate technology to foster deeper engagement, facilitate personalised learning using devices, and develop higher order thinking through the tasks they set for students. For this reason, students will benefit from being digitally connected in all their subjects. BYOD is encouraged/expected for all students. The information on this page will help parents make decisions in preparation for e-learning at Pukekohe High School. Full function Windows laptop, preferably with touch screen & stylus. Phone on its own is not enough. Windows Laptop is required. The school will provide an account for Office 365 for all students. This can be installed on up to five devices and will give access to all MS Office 365 in a web browser or on their device. Given the above guidelines we suggest you seriously consider using a full function Windows laptop. Local and online suppliers are aware of our recommendations and will help you choose the right device for your student, its use at school and your budget. Can I just use my smartphone? While there are times when a handheld device (Smartphone, iPod Touch) is the most appropriate tool for a specific purpose, there are limitations that should be considered as well. Limitations to these devices are specific to model, but one obvious problem is screen size. Whilst handheld devices may be great for capturing photos or video, the small screen means that it is harder to manipulate text or images on them than it is on a laptop or netbook computer. The lack of a physical keyboard or larger on-screen keyboard often means that it’s much less efficient to undertake any form of word processing on a handheld device. What if we can’t afford to purchase a device? There may be several ways local and online suppliers can help families afford a device. Where financial hardship prevents a student from having their own device, the school will have some devices available so that students are not disadvantaged. Please alert staff to this concern so that we may begin planning with you before the start of the school year. You may not use your device on the school’s wifi connection for non-learning activities such as using mobile apps, playing games, checking your email, surfing the web on unrelated matters. Continued or significant misuse may result in your user account being disabled or you may be banned from bringing your device to school, or more serious consequences as part of the general school rules. Where reasonable and appropriate, you may submit your work digitally. Work submitted digitally must be done as a PDF, unless the teacher specifically states otherwise (e.g. video, power point, image, etc). You should always check with your teacher that you may submit your work digitally. You must ensure that your file can be opened by staff, and that the formatting will not change when the teacher opens it. Any problems that result from teachers being unable to open files or changes to formatting are your responsibility. What about security of my device while at school? for devices, so that students can participate in activities without worrying about their device. Students who wish to connect to our wireless network should connect using their school computer login and password. Once you add your unique school credentials we expect that you will not share this device. 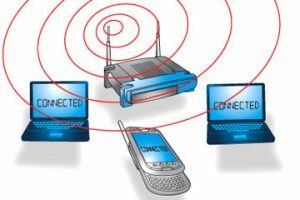 Wireless access is provided specifically of educational and/or school administration use. Your access code may be installed on a maximum of 5 devices. Please do not share your device once you have installed your access key. Once your school credentials are installed on your device all access and monitoring is logged on your account. We have a subscription to Office 365 which will enable all students & teachers to install Office 365 on up to 5 of their own devices. This will give access to Office applications on any device. Students & staff will have access to their own Office 365 account and are able to install and use on their own devices. We need to make a more solid push & encourage students to bring their own device. See the BYOD recommendations below. A smartphone on its own is not enough. We recommend a full function laptop or netbook running a Windows operating system. Go to the Wi-Fi Settings tab on your device. Add your Novell credentials to Identity & Enter Password sections. Your Novell username & password is now your wifi code. Note: If you ever change your Novell password you will also need to change this on your BYOD device. You can install your code on any 5 of your own devices. Terms and conditions of WiFi use are posted here on PukekoheNET. Please make sure you read and understand these. You may not attach your own devices to our cable network, use wireless connection only. WiFi connection will give you access to Internet via Watchguard. No device may be shared. Once your school credentials are installed no one else may use the device on our network. These guidelines provide staff, students and students’ caregivers with guidelines and best practice around how to manage students’ use of digital devices (computers, laptops, smartphones, tablets, iPods, etc) at school. They are to support the school’s e-learning goal of allowing “students to choose how they access their learning – digitally or non-digitally, anytime – anywhere”. While there are times when a handheld device (Smartphone, iPod Touch) is the most appropriate tool for a specific purpose, there are limitations that should be considered as well. Limitations to these devices are specific to model, but one obvious problem is screen size. Whilst handheld devices may be great for capturing photos or video, the small screen means that it is harder to manipulate text or images on them than it is on a laptop or netbook computer. The lack of a physical keyboard or larger on-screen keyboard often means that it’s much less efficient to undertake any form of word processing on a handheld device. Given the above guidelines we suggest you seriously consider using a full function laptop or netbook. These guidelines do not cover digital devices that are exclusively for playing games. Gaming devices should not be brought to school. Digital devices must be used only for learning purposes. All use of digital devices is covered by the ‘Acceptable Use Form’, which all students agree to when they enrol at Pukekohe High School. Students may not use digital devices at interval, lunchtime or between classes unless they are using them for school work. Students are fully responsible for the operation, security and safe-keeping of their own devices. It will be the owner’s responsibility to repair any malfunctioning or damaged device. Pukekohe High School does not provide technical services for any student owned device. Students are responsible for the back-up of their work. Students should not physically share their device with other students. Students must keep their device virus-free & free of spyware. Rules, including the cyber-safety policies, governing the use of any school-owned digital device will also apply to student-owned devices, while they are at school, including adherence to the Copyright act. Student devices will connect to Internet via the school’s content filter system and no attempt is to be made to bypass the filters. The school will allow students to use their digital devices as part of their learning where reasonable and appropriate. The school will not provide storage lockers or charging facilities for students. The school takes no responsibility for the performance, operation or safe-keeping of students’ devices and does not provide any technical support for student devices. The school will provide students who have a digital device with wireless access to the internet (including PukekoheNET). They will not necessarily have file storage on the network. The school may accept student work submitted as a PDF for internal assessments; or in other digital formats. Students should check with their teacher first before submitting work digitally. The school has the right to inspect files on any device bought on campus whether it has been the cause of a problem/attack/virus or not.